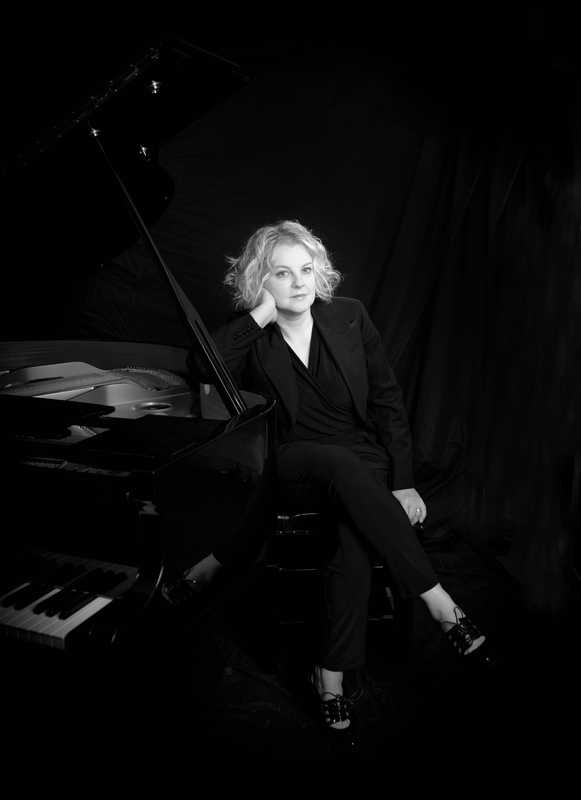 The album features the talents of Wendy Kirkland, well known in the Midlands, North and beyond as a brilliant talent on piano and additionally an excellent singer, composer and arranger. The idea of a show featuring the work of pianist singers such as Nina Simone, Eliane Elias, Diana Krall, Blossom Dearie came from the meeting of minds of the band members; but who could produce such a performance? There are few pianists in jazz today that can step up to the mark of singing whilst playing and rather than simply accompanying themselves, can exhibit superb technical and harmonic ability at the piano. Wendy Kirkland is that pianist singer. Joined by the superb guitar talents of Pat Sprakes who was asked by Darius Brubeck to join his band on tour in Nottingham; Paul Jefferies who is a founder member of Gypsy Fire and Ben Holder Quartet; Stevie Smith who is a consummate professional drummer who has drummed with Blur on their iconic 90s tours. Between them they have performed with jazz luminaries including Jim Mullen, Bobby Shew, Dave O’ Higgins, Jean Toussaint, Bruce Adams, Alan Barnes, The Matthew Herbert Big Band, Tony Kofi, Nigel Price, Phil Robson. The album was recorded over 2 days, the 13th and 14th of February, 2017 at Steinwayrecording.co.uk in Fulbeck, Notts which is owned by Spencer Cozens, keyboard player, arranger and MC for Joan Armatrading and John Martyn. Situated in an idyllic village, the studio boasts a fabulous Steinway piano which is kept at peak temperature and humidity by natural air circulation rather than air conditioning.